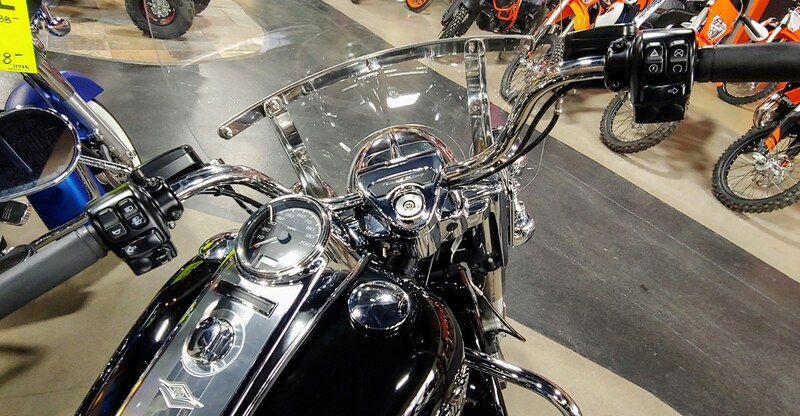 All eyes are on you no matter where you ride on the Harley-Davidson Road King! 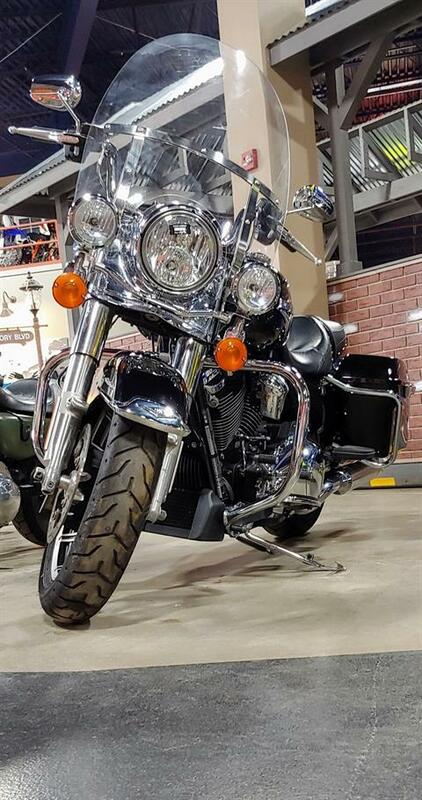 Nostalgia comes rolling into the modern day motorcycle world hard with the Road King! Harley's keeping it classic with features like the 60s styled Hiawatha headlamp and Nacelle and leather studded seats. So where does the modern kick in you ask? 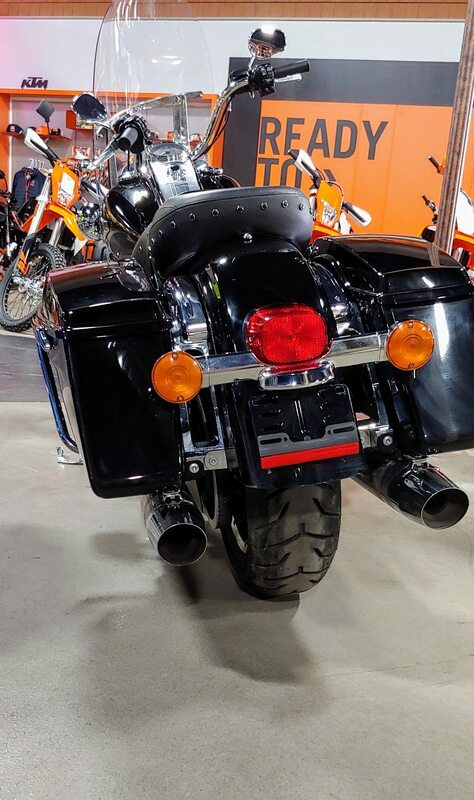 This Road King is stocked with the Milwaukee-Eight® V- Twin engine, Showa dual-bending valve front suspension and rear emulsion shocks, generating advanced power and ride. With cast aluminium Impeller wheels and easy one-touch opening saddlebags, this is the timeless classic built for any Ruler of the Road! HIAWATHA HEADLAMP AND NACELLE: Born in the '60s, when chrome ruled the streets. 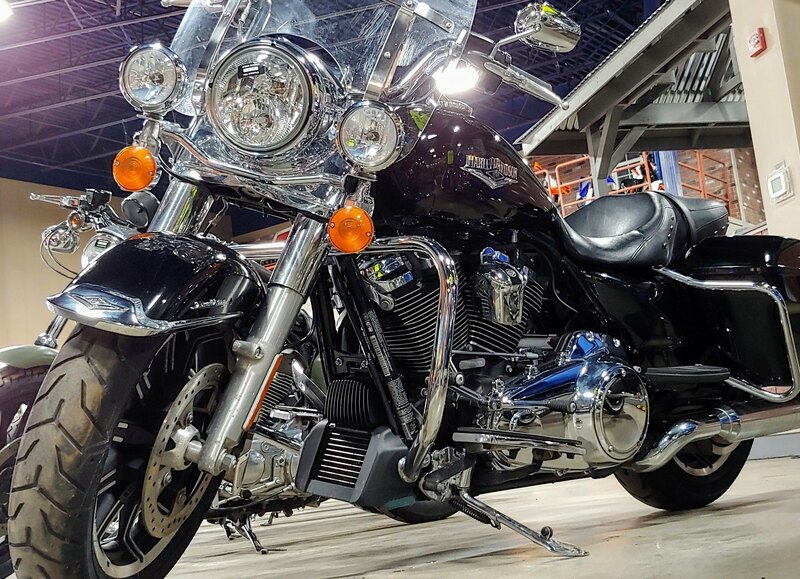 Big and commanding, it's built with the latest in materials and technology for a longer distance high beam and wider low beam.